Android OS becomes a very popular and fast growing platform for smartphone and tablet devices. There are millions of applications such as photo editing, productivity increasing, and blogging apps, etc. are available in Google play store, and you may know thousands of apps uploaded and downloaded by Android users and developers daily. Some apps are just a piece of crap, and some are very helpful for users. So, your should know about these 20 Best Blogging Android Apps to take maximum benefits from your Android phones. These Android apps help you complete your daily tasks and schedules in the easiest way. As a blogger, we write a lot of text content which requires proofreading, spelling, and grammar error checking to avoid common mistakes. This is where Grammarly comes handy as it automatically checks for more than 400+ grammar rules and common points to help you eliminate them with the best possible solutions. There is also a plagiarism checker using which one can verify the authenticity of their content before publishing. It’s available in both free and paid versions so don’t miss to give it a TRY at least. 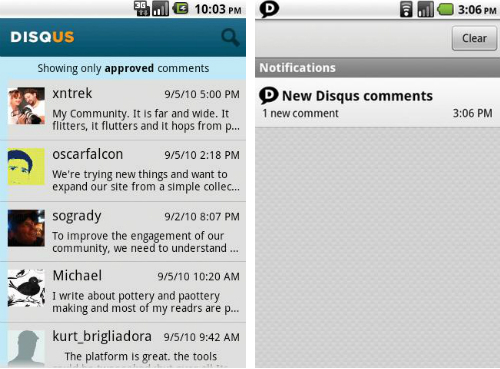 WordPress is one of the best Android apps for bloggers that help you to write, edit and publish new posts on your blog. Also, you can monitor your site statistics/analytics, visitor behaviors, site usage, read posts in reader section and it’s open source app. If your blog powered by WordPress CMS(Content Management System) then once you must try it. 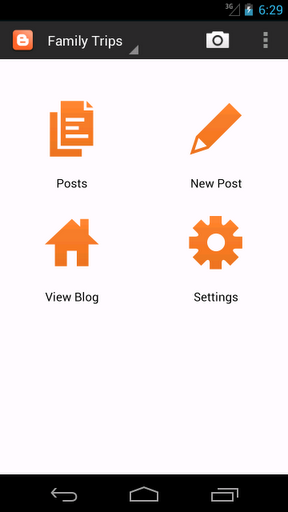 Blogger is another great blogging app in the list of 2019’s best Android apps for Blogspot users, Google Inc. developed it. You can easily handle your blogspot powered blog posts, edit exists posts, publish posts, view the list of published, drafted posts and much more. It is a great application for blogspot users to keep in touch with their blog performance and statistics. 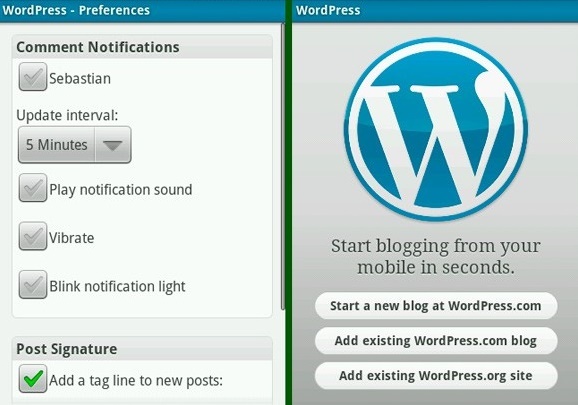 The working of Tumblr app is also similar to Blogger and wordpress Android app. You can simply write new topics, draft posts, edit and publish new posts to your blog from your smartphones and tablets. Also, you can directly share images, gifs, videos, music, links and texts, reply to messages and can do much more with this great app. Are you a blog writer? 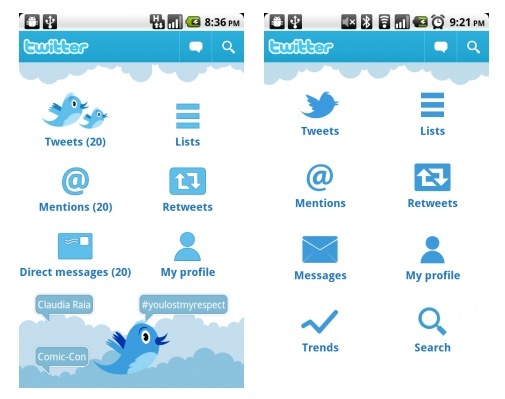 Then this is another best Android app for you. You can write notes, novels and stories quickly with Writer Android app. Read what writer app developer says “Writer tries to be as basic as possible, giving you somewhere to turn your thoughts into text, markdown support, and some statistics. Nothing more. Nothing less.” I think there is no need to explain more features of writer app after reading its developers statement. Right? The working principle of gAnalytics is similar to Google Analytics tool. This app helps you to monitor your blog/site traffics, visitors, pageviews, sessions, unique users, real time visitors and demographic stats also. Google Analytics Android app is alternative for this. Swiftkey keyboard is a keyboard app with impressive features such as easy to write, great next-word-prediction, 800 emoji characters (emotions), smarter auto corrector, support 60 languages, 30 colorful layouts. It is also becoming default keyboard app in Android devices. Evernote is one more great blogging app available for both Android and iOS platforms. Evernote gives you the opportunity of creating handwritten notes, collecting web articles, powerful search, writes notes in the clean and distraction-free workspace, open your notes from any device. Along with these features, many other premium features are also available. It is one in my best android apps, and I recommend you should try it once. Another best blogging Android app in dictionary applications category. 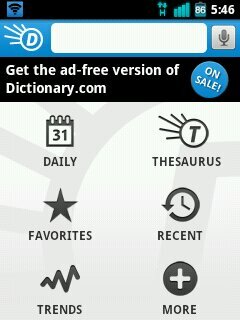 It has more than 2,000,000 definitions and synonyms from dictionary and Thesaurus.com. There are following key features of this app; audio pronunciation, word origin, idioms and phrases, word history, voice search, favorite words, abbreviations and much more that you need. There are thousands of best photography apps for bloggers, available in Google play store, but this one is quite unique. You can edit your snaps, crop, draws over images, easy rotation, resizing, adjust color schemes, effects, and many other things by using this app. When it comes to monitor website statics and analytics, no one can ignore the value of Google Analytics tool. Google Analytics is a simple tool developed by Google Inc. for analyzing your blog traffic and statistics. You can easily monitor site visitors, page views, unique users, returning users, session, bounce rate, visitors landing pages, exit pages and more things by using this free best Android app. Google Drive takes 12th position in the best blogging apps list. Google Inc. also powers Google Drive, and it’s a free service. You can upload your data files such as office & PDF documents, music files, images, and videos, etc. Google allows you to upload upto 15GB date in google drive for one Google account, so it’s quite good deal. You can share uploaded files publicly anywhere else on the web. Twitter is one of the best social apps that help you connecting with online social circles and communities. You can use this app for twitting your blog posts, connecting with peoples, share twitts and much more. Twitter is a free app like Facebook. However, it is my best android app. The pocket is another must have app because sometimes we want to read an entire article but due to lack of time (other schedules) or internet availability, we leave it. Now pocket app solved the problem. The pocket app can help you to read your articles when you have spare time and even you are offline because Pocket saves articles in your device for offline reading. Feedly is RSS feeds reader app, you can read latest articles or posts of any site if you subscribe their RSS feeds in Feedly. You can also subscribe multiple sites RSS feeds for getting latest updates in one place. Feedly is very famous in bloggers and blog writers. Pingdom let help you to monitor your sites uptime and downtime. You can easily monitor when your site was an outage and you can resolve outage by improving root causes. Also, it will show you statistics of the response time of your blog. You should install this app for monitoring your blogs/sites. Pingdom is an essential tool for bloggers or even every web owner and that is why it selected in the list of best android blogging apps. Sharing new posts every time at all the main social sites such as FB, Twitter, Linkedin and Google+ is quite frustrating and time taking task. Here is a solution of this ”Buffer App” Yes! 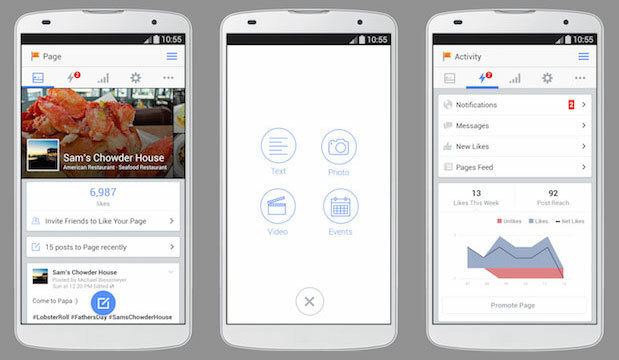 Buffer app can help you to share your new posts on all the best social sites at the same time. Flipboard is also a great application for bloggers, you can easily keep in touch with new stories, news, videos and images around the world. You can connect your social networks such as Facebook, Google+, Twitter to watch what your friends are posting and can easily share posts with them. If you are a blogger then definitely you have a Facebook page. Where you post your blog articles and latest news. You can easily manage your Facebook page, reply to messages, update status, pages and posts insight and boost posts with ads promotion. This application can enable you to monitor your Facebook web pages. I highly recommended you should install these android blogging apps on your Android devices to make your tasks easier than ever. These apps will help you to publish your new articles when you have no access to your computer or laptop. Am I missed any must have android app for bloggers in this list? Feel free to feedback in the comments section below. So, let me know which blogging apps you’re using for maintaining your website and which are your favorite apps?